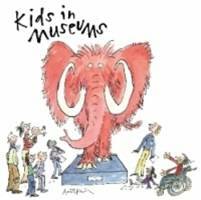 The Kids in Museums Manifesto 2012 was launched on Monday 16th January. And this year, visitors have given a new, loud, clear message – museums can lead the way in showing the fabulous, creative contribution teenagers make. The Kids in Museums Manifesto 2012 – 20 ways to make a museum family friendly – is compiled entirely from visitors’ comments. It gives a powerful voice to children, families and teenagers throughout Britain. Over 300 museums use it as a guide to becoming more family friendly, pledging their support. Find out about all the new points on the Kids in Museums Manifesto 2012 and download a copy here. Kids in Museums is a visitor-led charity working with museums to make them more family friendly, in particular for families who have never visited before. Kids in Museums believes in working with museums, we can change lives, giving new opportunities and experiences to children and families. Among our recent projects are the Telegraph Family Friendly Museum Award, Takeover Day in Museums, the Flexible Family Ticket campaign, and Your Museum Cafe. Kids in Museums was founded when writer Dea Birkett’s family were thrown out of the Royal Academy, London, for being too noisy. Find out more from their website.